Securing a construction site is an OHS requirement in NSW to ensure the public are safe. It is also important to secure your site so you can deter theft of valuable construction materials and tools, which unfortunately is a common problem. At Security Vision Networks we have developed a mobile security package which can be installed quickly and on a temporary basis, as required by the builders. Rather than hiring security guards to patrol the site, our high definition CCTV cameras are installed to cover the entire site. Footage is then monitored by us back at our Security Operations Centre. This is saving our clients the cost of hiring on-site security staff and we are able to capture any misadventure as well as vehicle traffic entering and exiting a site. Recently our secWatch trailer was hired to MJH Multi, a residential home builder, for a construction site in Box Hill. They are building on multiple lots spanning the area over three streets. They have had thefts from sites in the past of building materials, tools and equipment and wanted to implement a security strategy to ensure this would not happen again. Following a site survey to determine the best locations for camera units, we draw up plans and build the equipment in our workshop. Our mobile secWatch trailer was deployed when 20 meters of temporary fencing was removed. The trailer will be onsite until pole mounted units can be deployed. We are building four single camera solar Mobile Camera Units, to be installed on the light poles at each end of two streets – this may increase to six units. Camera footage is to be monitored from our Security Operations Centre at night, on the weekends and on public holidays. The cameras have been hired for a six month period, after which they will decide either to continue to hire or purchase units for use at multiple locations. secWatch uses cloud based software so builders can actually log in and view their site at any time, which can be a great reassurance. What is an Audio Challenge? Our mobile camera solutions have a built in speaker and amplifier. When unauthorised people are detected entering a clients site our guards can issue a warning remotely from our Security Operations Centre. This can scare a trespasser and stop crime or avoid crime taking place altogether. Also all incidents are recorded and the video footage can be provided to police if needed. In addition to our security installed we recommend clients take photos of equipment and keep a log of all equipment on site, including a description and serial numbers. Here are some tips from SafeWork NSW. Security Vision Networks is the security division of Independent Locksmiths & Security. We are a managed service provider, specialising in security and IP networks. We provide our clients with security systems tailored to their specific needs. After providing electronic security systems to the business community for the past 15 years we have decided to form a separate company and brand to communicate our passion for security systems on IP networks. Over this time we have designed, installed, monitored and maintained security systems for the government, industrial and commercial markets. 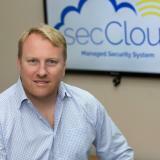 We were early adopters of deploying security systems on an IP network. We have a passion for automation, machine to machine (M2M) communication and the Internet of Things (IoT). We have traveled the world to understand global trends in security and have developed a suite of products that are at the leading edge of technology.